It is the invisible path that guides a reader through a story, and the crucial language that teaches the reader how to move forward. I’ve spent my career mastering it, designing magazines, books, marketing and advertising. Storytelling in its simplest form, a logo needs to be clear and to project its purpose immediately. A brand needs logic and inspiration. It is a first impression and a lasting memory. Conceptual, informational or purely for beautification, from a brush, a pen or a mouse, Illustration is the purest medium I have to describe my vision to others. Data uncovers truth and leads to knowledge. Understanding and communicating it supports a story and accentuates a message. My start in visual storytelling began here in magazines, and technology companies and continues in every project I accept. One of my greatest passions is capturing how I see the world around me. With a camera I can do that literally, or conceptually. I have used it to sell products, to intrigue with portraiture, to excite with action photos and to bring my audience with me as I explore. Words can decorate and inform, they paint an image in our minds, and they take us on a journey of understanding or discovery. Whether writing for travel, news, marketing or advertizing, I write to share my passion with each reader. My desire to understand complex systems and demystify them for others has no greater vehicle than How Computers Work. 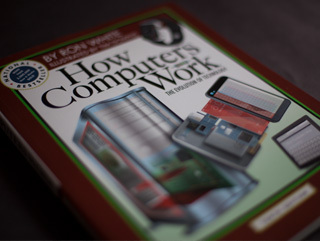 Written by Ron White, and in its 10th US edition, with over 2 million copies sold, HCW transports the reader on a visual journey through the personal computer, the internet and other related technologies, visually explaining everything from RAM to Wifi. HCW has been printed in 76 editions world-wide in 13 languages and has led me to other book projects including How Digital Photography Works and Our Digital World. In 1994, the Internet was still more novelty than resource. At PCComputing magazine, we created a series of 13 traditional, gas station style folded maps filled with websites to help our readers find useful information, download free stuff and explore this exciting new medium. 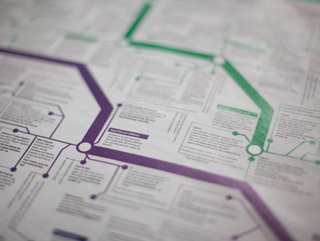 This was a project that merged my passion for deciphering information with my love for map design. 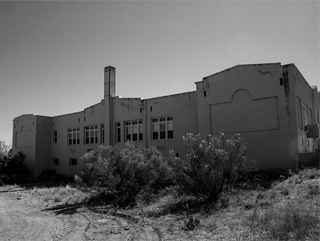 A few years back, on a road trip in Northern Arizona, I came upon the school where I attended the third grade. It was decrepit, abandoned and for sale. So many memories of early education flooded in. So many experiences from that time, helped to define who I was to become. It dawned on me, as I stood there in the bright August sun, as a lifelong learner who is restless at the first sign of complacency, that this is the fate of many, a slow disintegration right to their foundation. I resolved to reject this future for myself. I will try to live every moment to its fullest, and to continually learn, till I can no more. Life overflows with stories. Find them and they will inspire you. Tell them and you can change lives. Visually defining a business, campaign or product, is one of the most important and most difficult branding projects we can undertake. Understanding the business, the market, the client and the customer are all vital for success, ignore one and you may fail. You can make the logo larger, you can make the text bolder, you can even change the colors because you like green, but remember, though you're probably the best person in the world to run your company, you hired me for a reason. Hire me for what my mind can do, not what my hands have done.